Want to know what 'It' is and why it's so lucrative? 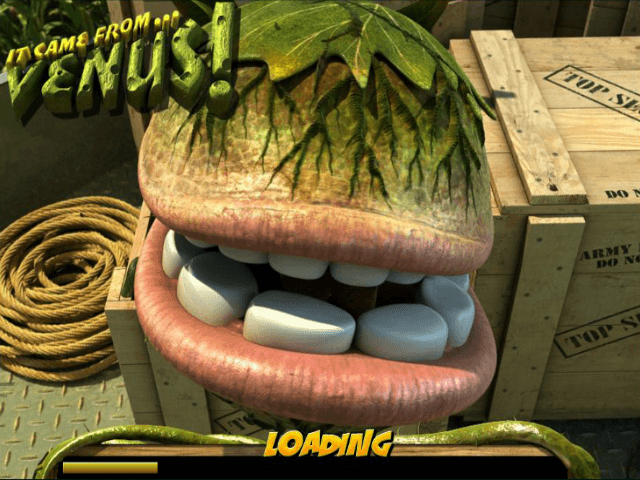 Read our It Came From Venus slot review and we'll spill all. Aside from being one of the most visually impressive slots on the market today, this Betsoft creation is packed with ways to win. From free spins to collapsing wins, this game has everything the modern online slots player could desire. 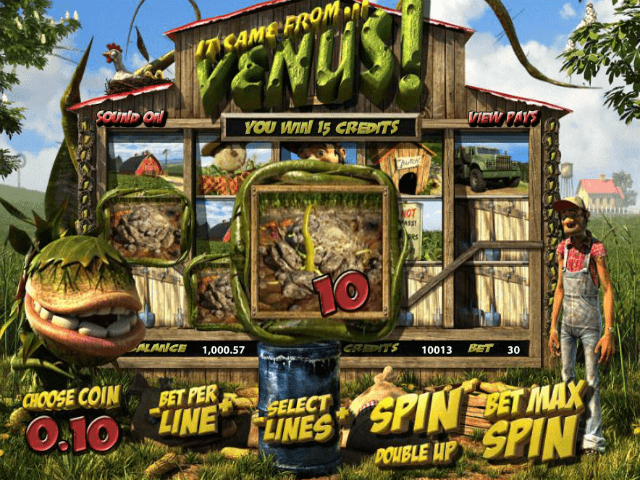 It's rare you find an online slot that's hugely entertaining and filled with huge jackpots, but the It Came From Venus online slot certainly ticks both these boxes. If we're being pedantic, this is a progressive jackpot slot. However, everything from the opening video sequence to the animated characters would suggest otherwise. 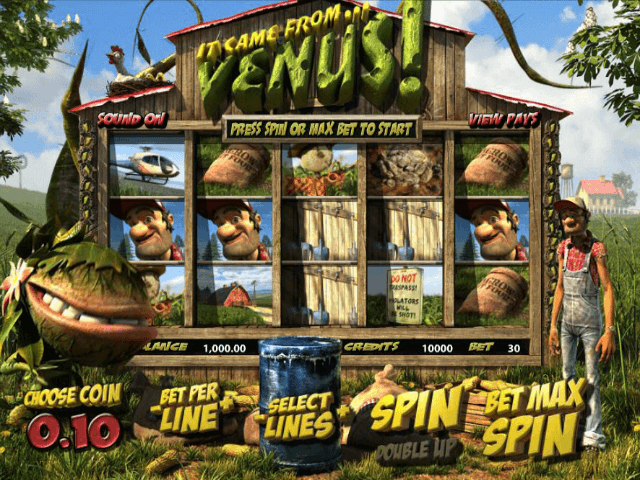 In fact, the best way to describe Betsoft's It Came From Venus online slot is a video-jackpot crossover. Although we've seen some detailed progressive jackpot slots in our time, few can hold a candle to this spinner. Indeed, as well as telling the story of 'It' (a plant-like creature from Venus), you'll be treated to a living world full of farmyard sounds, pesky hens and, most importantly, ever-increasing jackpots. Coin Size: This is the cash value of your bet and ranges from 0.02 to 1. Bet Per Line: This is the number of coins you're staking per line and ranges from 1 to 5. Lines: Depending on your preferences, you can open up between 1 and 30 win lines. When you combine all these variables, you get an overall price per spin that can range from one credit to a max bet of 150 credits. The important thing to note about the It Came From Venus progressive jackpot is that it will change depending on the amount you stake. The more you bet, the larger the progressive jackpot will be. Additionally, if you want to be in with a chance of winning 50,000+ credits, you'll need to stake the max bet per line for your chosen coin size. Assuming you do this, five aliens will unleash the progressive jackpot. 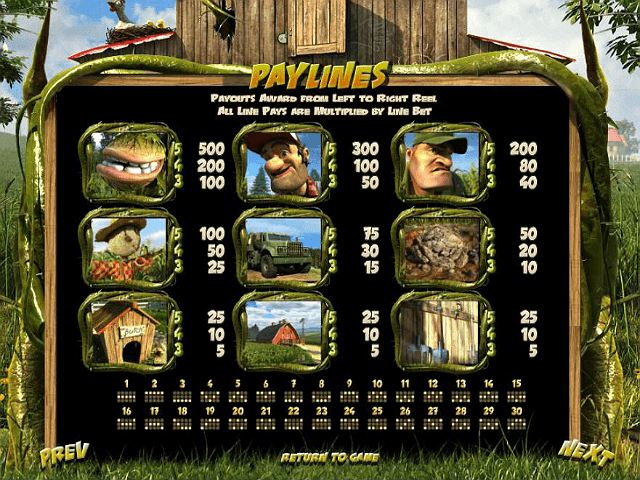 Feed Me Free Spin: Collect five food sacks on reel 3 and you'll get a feast of free spins with the added benefit of a sticky wild. Random Wilds: Capable of appearing anytime you hit the spin button, random wilds on reels two and four can increase your wins by as much as 4X. Scatter Pays: Anything from three to five scatters can payout a prize worth as much as 3,750X your line bet! Double Up: If you want a prize and feel like a gamble, you can hit the double up button and guess whether or not the item thrown will be caught. Get it right and you'll double your prize. Stacked Collapsing Wins: If you cover two full reels with matching symbols, you'll earn an extra credit worth 2X your total bet. Do the same thing on three reels and you could get 40X your total bet. Save the Plant: Three or more helicopter symbols will take you to a bonus round where you have to find the alien plant. Pick the right box to save him from the military and you'll win an instant cash prize. 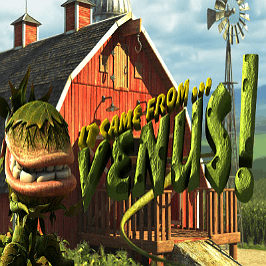 The It Came From Venus jackpot slot is literally bursting at the seams with ways to win. Not only that, but when you power up this Betsoft game, you'll see why modern slots are so absorbing and entertaining. If you like It Came From Venus - You'll like these slots too!